Has cinema seen a child more driven and unyielding than the protagonist in South Korean director Bong Joon-ho’s Okja. Probably not. 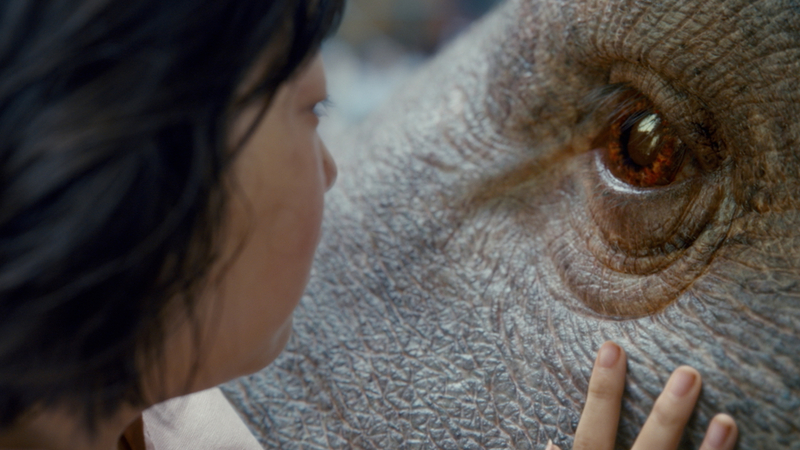 The incredible bond between this South Korean girl and her special pig sees her morph into Jason Bourne at times, when a giant firm looks to use her friend, the titular Okja, to launch its chain of meat products. Joon-ho’s takes us on some whimsical escapades, culminating in an epicentre of warmth and charm, as workings of capitalist exploitation and consumerism are packaged in one of 2017’s best offerings. Okja’s opening moments see this giant firm, the Mirando Corporation, outline plans to place special breeds of pigs in 26 select areas worldwide. Its CEO, Lucy Mirando (Tilda Swinton), explains these “super pigs” of a special breed will take 10 years to mature upon which the company would choose the best environment out of the 26 in which to raise them en masse, and then match the growing world population and combat famine by providing cheap but high-quality meat products. But all this is a load of BS. These super pigs were engineered in a Mirando Corp lab, but the whole 10-year charade is an elaborate ploy to circumvent animal rights activists and Genetically Modified Organism (GMO) paranoia. The animal (brought to life by passable CGI and impressive practical effects) is mostly coy and resembles, possibly deliberately, a cross between an elephant and rhino, two of some of the most heavily poached animals. It also has the rounded snout of a hippo and eyes that serve as the entry point to a warm soul and the conduit of strong emotions. So we jump ahead 10 years to South Korea, where we meet our heroine, Mija, (An Seo-hyn), an orphan who lives with her grandfather on an evergreen mountainous crest, reminding me of my boarding school days on the Kwahu Ridge. It’s clear Mija and Okja share the strongest of bonds. We meet them revelling in the untainted aura of the nature around them as they gather fruits and engage in their unique brand of fishing. 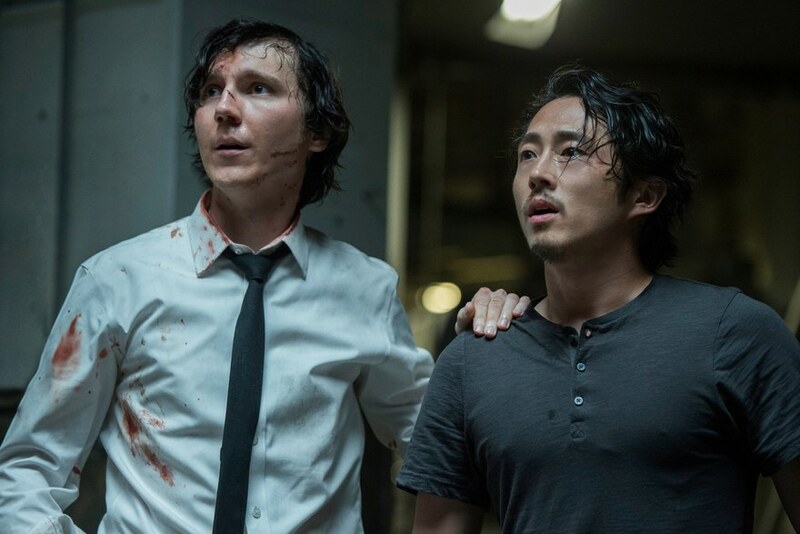 Their love for each other is clear, as typified by the first of many intense and distressing sequences shortly after we meet them, which goes to further establish Okja as extremely intelligent. Alas, time is up for the duo. Mija’s grandfather kind of does that misdirect trick parents pull on kids to avoid going out with them. Before we know it, Mija is being compensated with a tiny gold pig as Okja is carted away to Seoul. But Mija is not here for this. She starts on a warpath that takes her first to Seoul and then New York. Along the way, she runs into a bunch of balaclava-wearing pro-environment rebels, the Animal Liberation Federation (ALF), led by Paul Dano’s Jay, who intercept Okja, en route to New York, and plant a camera on the pig that they hope will reveal Mirando Corp’s dirty little secrets. As the plot unravels, Okja comes off as an incisive and humorous satire of corporations and their hypocrisy. Given the persons of interest, it narrows in on themes of animal cruelty and even agricultural exploitation, with the idea of a farmer toiling for 10 years and having a company just swoop in for the spoils. Then, there is this latent anti-meat sensibility, which is necessary to accentuate the amusing corporate callousness. As the film’s beacon of innocence questions why animals lined up for slaughter have to die, we are told it’s just business – “we can only sell the dead ones,” a line that had me howling with laughter. I was also laughing a little too hard at ALF, as Joon-ho mocks its Jay’s adherence to a 40-year old pacifist credo. One of ALF’s members is on a ridiculous diet to ensure he leaves the smallest footprint possible on mother earth – won’t even eat a tomato. Should I be disturbed I empathised with the idea of “hardworking business people” just looking to meet the next pig order? This is in contrast with Mija, who is tortured by the sight of pigs lined up for slaughter as if cursed with front row seats to a genocide. I guess that was just the meat lover side of me protesting some of Okja’s politics. On the other hand, I have a bit of loathing for people who consider cats a delicacy. To toe the stereotype line, people from my part of Ghana are considered culprits in this regard. I’m sure I would be immersed in a film with an Ewe boy fighting to save a cute feline from becoming kebabs. The only performance that should matter here is An Seo-hyn as Mija. The levels of physicality she brings to the role truly impress. She is at the centre of some well-crafted set pieces with pantomime eccentricities, some which have her prancing alongside the rampaging CGI Okja through underground shops. Mija’s righteous perseverance should be enough, interspersed with the cuts to Swinton’s Lucy, who becomes increasingly desperate, and ALF’s shenanigans. But there is a bit of chaff here, with some scenes that seem to serve as comic relief in a film that is funny enough in its own stride. Beyond the chaff, which I can live with, we have Jake Gyllenhaal as this washed up sell out wildlife TV celeb with the slapstick turned up to 11. When I first saw him, for about five minutes, I thought; this is an interesting turn for Gyllenhaal, who mostly seen in serious roles. Then we get more and more of him and he gets less and less restrained until he starts to resemble a cross between Captain Jack Sparrow and Martin Short at his most flamboyant. Why didn’t Joon-ho just nudge Gyllenhaal in the direction of his creepy Nightcrawler performance? That may have been more effective and Lord knows I’ve had enough Jack Sparrow. Stuff like this at times mars the navigation between tones our director seeks to achieve. For the most part, the humor, the adventure and the distress are well balanced. But we get transitions like a cut from ALF guys horrified at the treatment of pigs in a Mirando Corp lab to Gyllenhaal’s Dr. Wilcox waking up drunk on Okja, which leaves a sour taste. Mind you, in this scene, Dr. Wilcox proceeds to offer Okja some beer and I couldn’t tell if the tears streaming down the pig’s face were for the audience or the pain it was in. The more I think about Okja, the more annoying Gyllenhaal becomes. This film would have been near perfect without him. The anti-meat notes in Okja shouldn’t be taken too seriously. It may seem like there’s a lot going on, but don’t lose sight Mija and Okja, who win us over in a heartbeat. Okja is a weird and engrossing love story, with some deftly realised caustic humour spicing an adventure romp that offers an uplifting resolution that will leave you warm inside. A little girl fighting to save her friend is essentially what we have here. Yes, Mija’s innocence is bruised along the way, but Okja never presumes to take place some fantasy world. It does take place in the world of business, which is pretty damn ruthless.